Proposals galore! 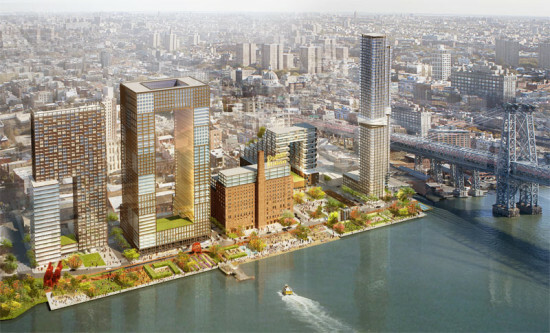 Brooklyn Bridge Park (BBP) is moving full speed ahead with its plans to develop parcels of its 1.3-mile waterfront expanse. 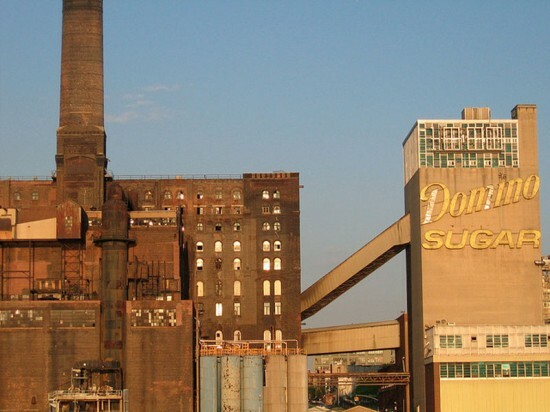 In September, the Park released a Request for Proposals seeking a developer to restore and makeover the crumbling Empire Stores warehouses into a lively mixed-use development consisting of office, commercial, and retail space, while also preserving the integrity of the massive historic structure. 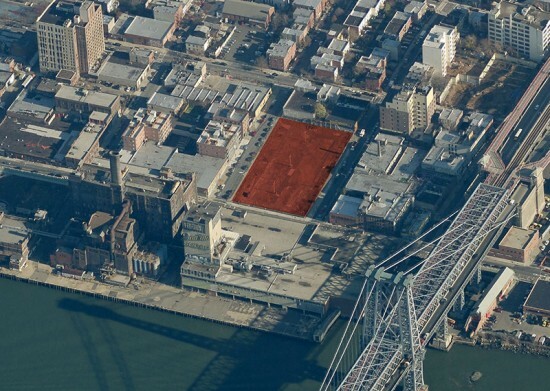 Ten prominent developers submitted proposals to overhaul the brick and timber building made up of seven connecting warehouses. And now Crain's has revealed about half the list of developers vying for this project with heavy hitters such as: Jamestown Properties (behind Chelsea Market and Milk Studio), Two Trees (run by the Walentas family who has transformed DUMBO and is redeveloping the mega Domino Sugar Refinery site), Acumen Capital Partners, Robert A. Levine (of colossal residential building, One Brooklyn Bridge Park), and Midtown Equities (Crain's reported that their proposal is the current front-runner). 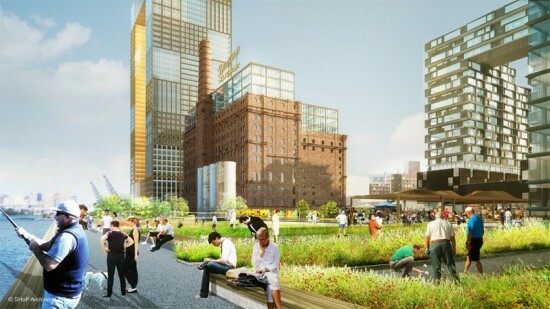 The proposals envision a variety of uses for the Empire Stores buildings from cultural and artisan office space to a rooftop urban farm and terraces. 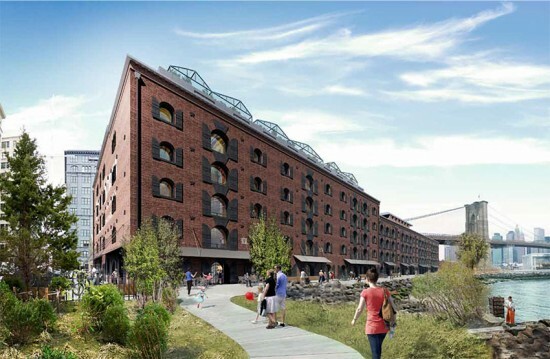 Regina Myer, president of Brooklyn Bridge Park, is hoping to grant the winning proposal a 99-year lease. 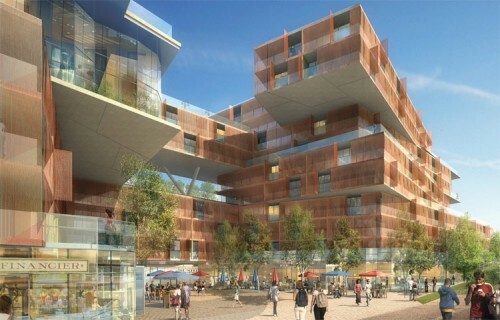 This development, like the Rogers Marvel-designed Pierhouse residential and hotel complex, will generate money for the maintenance and operation of the park. It's hard to avoid the advertisements for Mercedes House; they're everywhere. 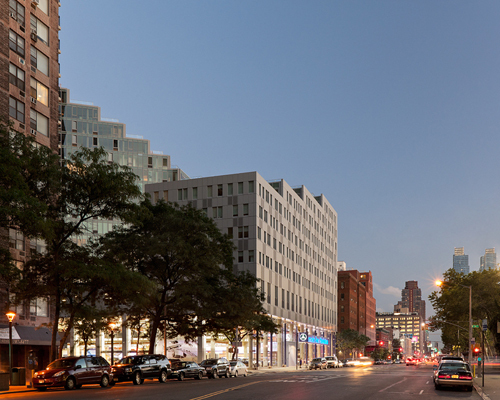 The ads, with their renderings of a completed project, employ the recent trend of touting the building's architectural credentials, in this case "designed by Enrique Norten" of TEN Arquitectos. One could be forgiven for thinking the project was finished a long time ago. 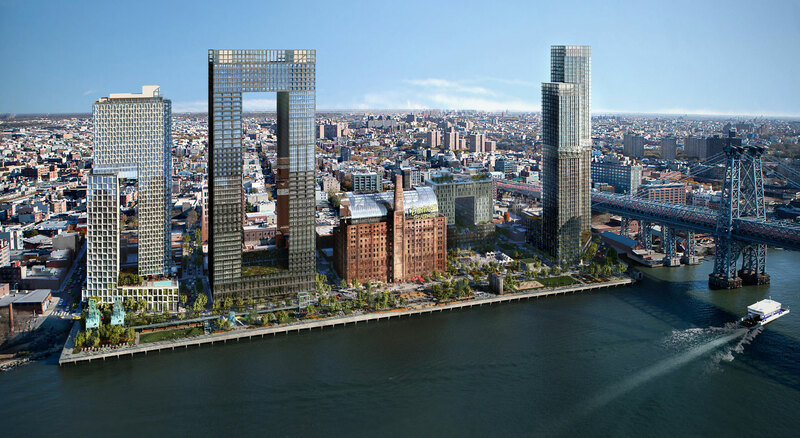 But could real estate savvy New Yorkers not notice a huge serpentine-shaped building rising on Manhattan's West Side? Not likely. In fact, the Two Trees development is only about one quarter complete. However, as the ads note, you can move in right now--if you want to rent. More than 220 rentals are done, and when we took our walk-through last month financing was in place to complete the remaining 665 units, which includes 170 condos. 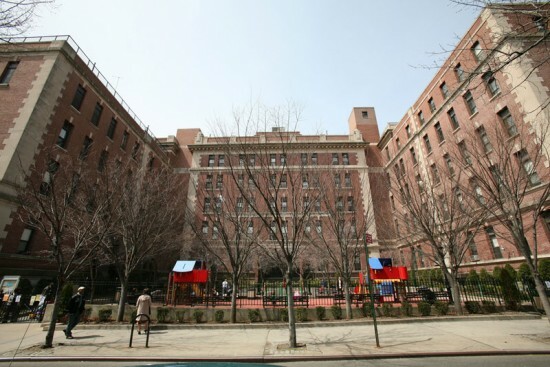 The most distinctive feature of the building is its "S" shape, a very unique solution to massing in New York City. If viewed from a above, the foot of the "S" forms along Eleventh Avenue. Then the building slowly accrues mass as it literally steps back from the Avenue. The setbacks form generous terraces for two apartments on each floor. With each setback the building gently glides north before returning abruptly turning south at the top tier of the S-plan. The negative space provides two generous courtyards with distinct atmospheres dictated by the sun's movement throughout the day. The sunny southern courtyard will feature a pool while the shady north court will host quieter activities. The building is riot of textures. One wall facing the courtyard has a louver systems of shading, which also hides the vents for heating/cooling units. On another wall, tiny horizontal slats hide the vents and work their way into a pattern of olive green glass. It's an eclectic solution to say the least. On the smooth street-side facades, perforated screens covering the vents abut sheets of matte gray aluminum. TEN Arquitecto's project manager Angela DeRiggi compared the contrast between the street and courtyard facades to "cutting into a grapefruit where you have the rind on the outside and the delicate pieces on the inside." Perhaps one of the stranger elements that has come out of the land use process with the community is a large interior space meant to house, feed, and exercise police horses. Whether the Police Department will be able to afford the space is still being debated. Nevertheless, the space is there, and Mercedes House is probably only new development in New York that boasts practice ring for horses. The satellite art fair Verge is ruffling a few painted feathers at galleries in Williamsburg. After the announcement last week that the Miami-based art fair was coming to the borough in an event coinciding with the Armory Show from March 3 to 6, several Billyburg gallery owners balked. The event, called Art Brooklyn, would conflict with Brooklyn Armory Gallery Hop, which Williamsburg Gallery Association has held the past seven years. Recently, the not for profit Best of Brooklyn helped hype the annual event through Brooklyn Tourism and smART Brooklyn, an initiative of the Borough President’s office promoting the borough’s gallery districts. “I’m opposed to smART joining forces with Verge. It was using its resources to help us and for whatever reason they chose to support Verge as opposed to Williamsburg,” said Tatyana Okshteyn, founding member of the gallery association and director of Black and White Gallery. “It will divert traffic and we were the ones who started that night seven years ago.” With the support of the DUMBO developer Two Trees and Brooklyn Tourism, Verge looks poised to garner a lion’s share of borough’s art crowd audience. Two Trees has shown itself to be a generous supporter of the arts, which doesn’t play badly with their own real estate interests in the area. Okshteyn said she has no problem with Two Trees' support. This makes sense to the former businesswoman turned art dealer. Her gripe is with Best of Brooklyn. "Why divert resources for a new comer who is an out of town entity, that will primarily have non-Brooklyn galleries," she asked. Borough President Marty Markowitz sees the art fair as win-win for all the gallery districts. 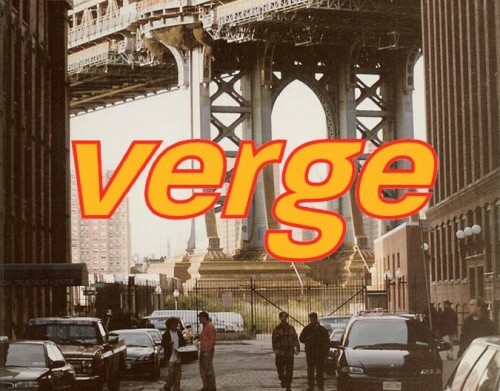 In a statement he said, "It's exciting that Verge will present its first-ever Brooklyn art fair during Armory Week, when thousands of artists and art lovers from across the globe converge on our city." Last night, members of the gallery association aired their concerns with representatives from Verge and Best of Brooklyn at regularly scheduled association meeting. Alun Williams, director of Parker’s Box Gallery, said the Verge representative was receptive but non-committal to holding back on having events during the Armory Gallery Hop. “We hope they don’t have any significant event. There might be a late night party and that would be OK for us,” he said. 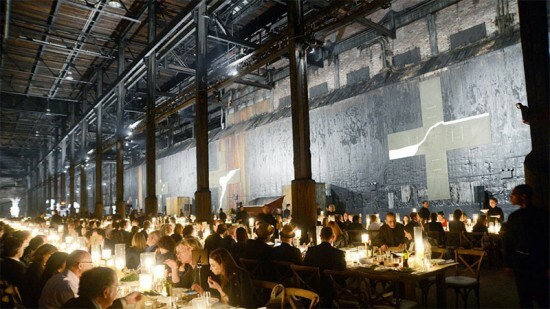 Randall Harris, director of Figureworks Gallery, said that Williamsburg traditionally holds their own Armory afterparty. “I don’t have a concern with them doing an event, but I certainly didn’t want smART and the borough president to focus all their energies on Verge.” “Personally, I feel an art fair in Brooklyn is a bad idea," concluded Harris. "If Brooklyn is an innovator, I think they could come up with another idea, instead of yet another satellite art fair. Having said that, Verge has done this before. I can only wish them luck."